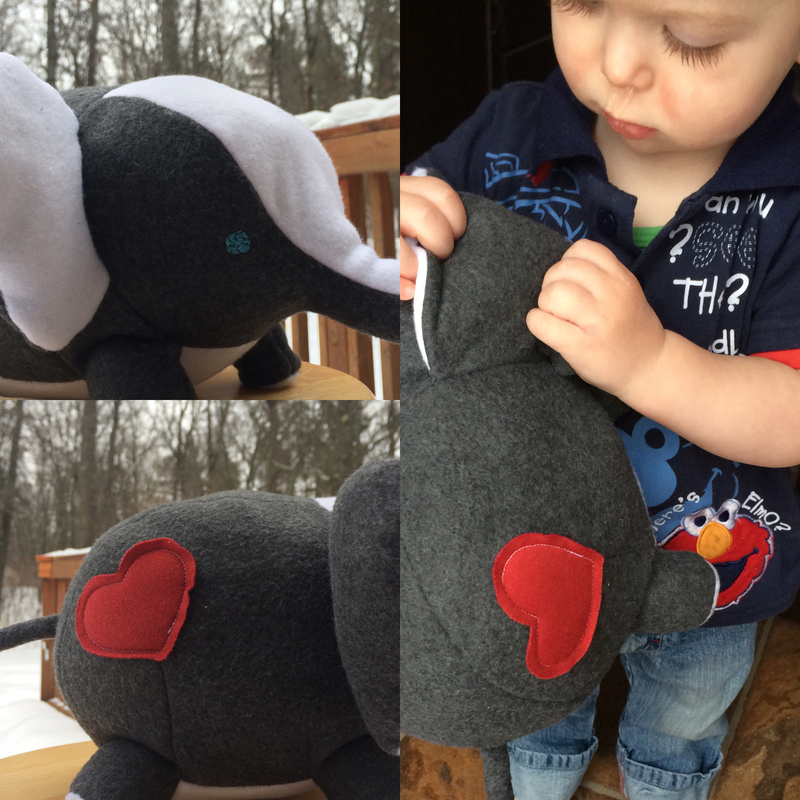 I chose the DIY Fluffies Love Elephant pattern. My pattern was delivered, and I printed it out, looked it over quick, and didn’t think much of it…then I sat down to make these guys and read that the seam allowances WERE NOT included in the pattern. No problem, I thought. 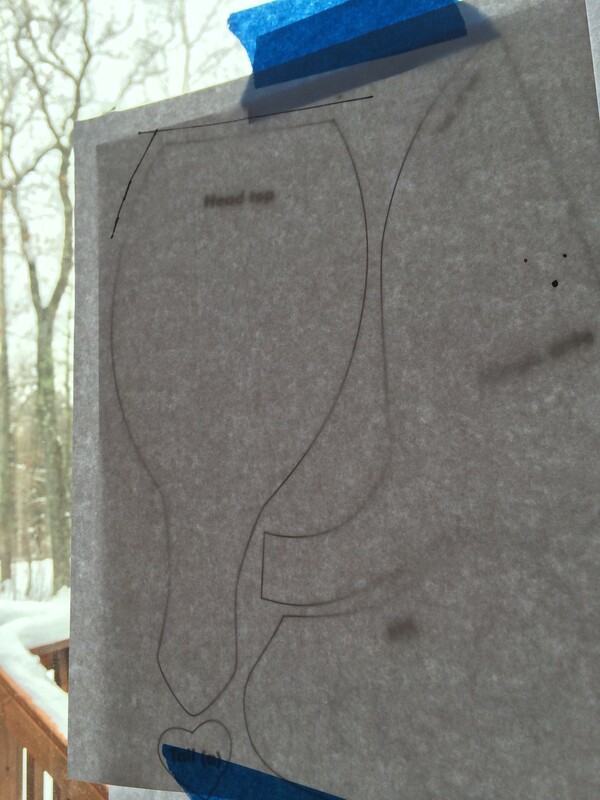 I’ll just trace 1/4″ around all the pieces. Listen, let’s just say that if you ever see me at The Joann’s, and I’ve got faux fur in my cart, RUN!!! The body snatchers have taken over! 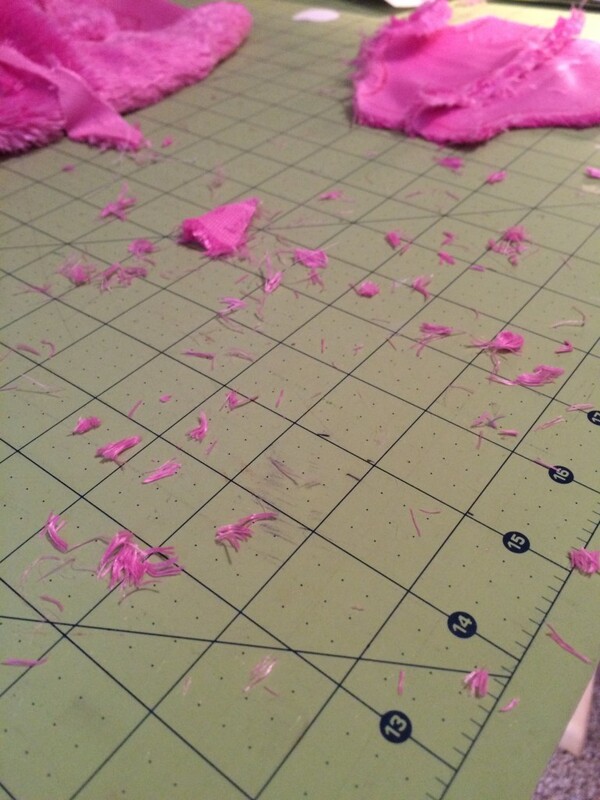 Seriously, the mess from this mess was phenomenal…I mean, faux fur is the fine metallic glitter of the fabric world. 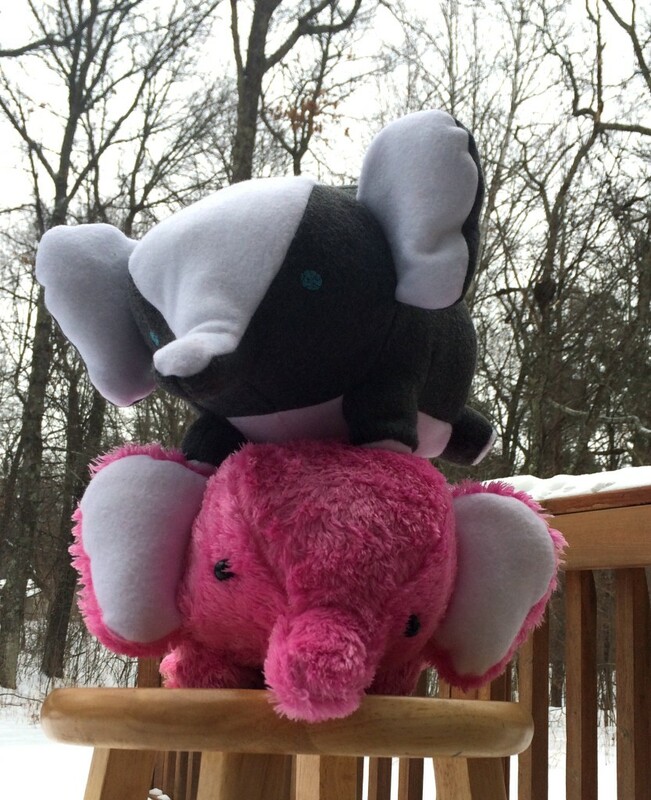 But, in the end, it was the perfect choice for an elephant present for a 6 year old girl. 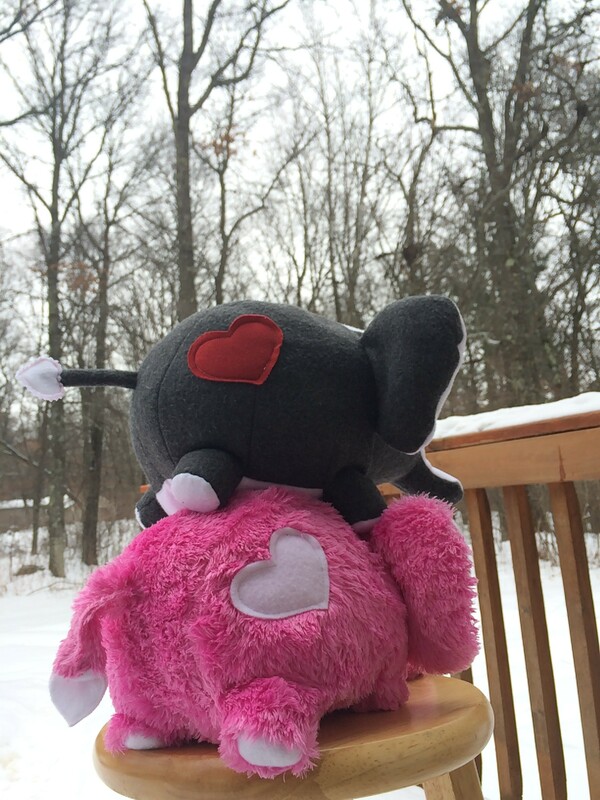 The Carnies love their stuffies, mama got to sew something new, and all is well. And cue the detail shots…. 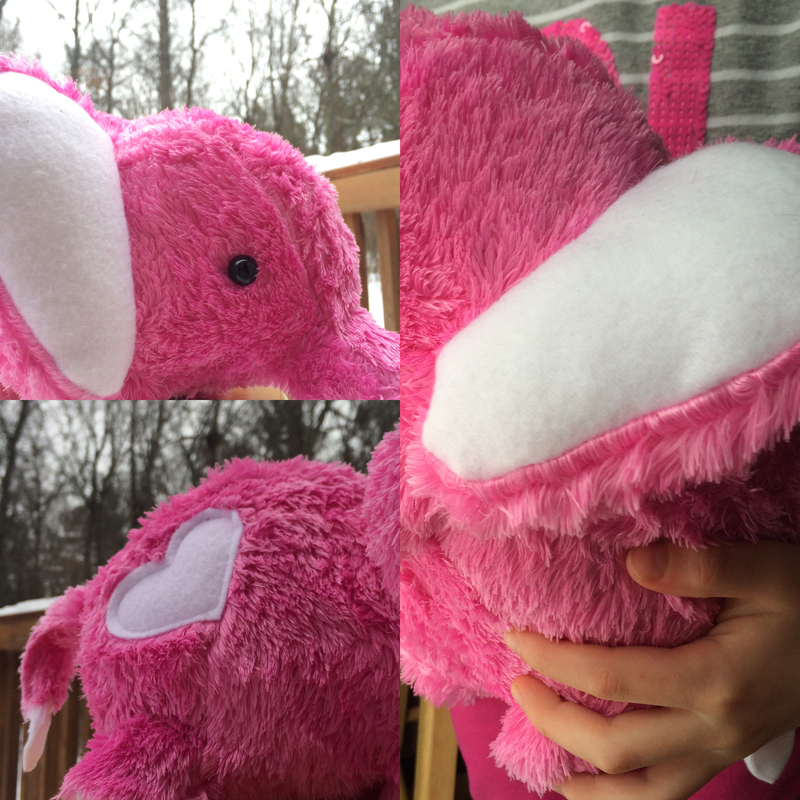 Georgia’s Elephant: Pink faux fur and white fleece with button eyes because there was no way I was going to work that fur more than I had to. 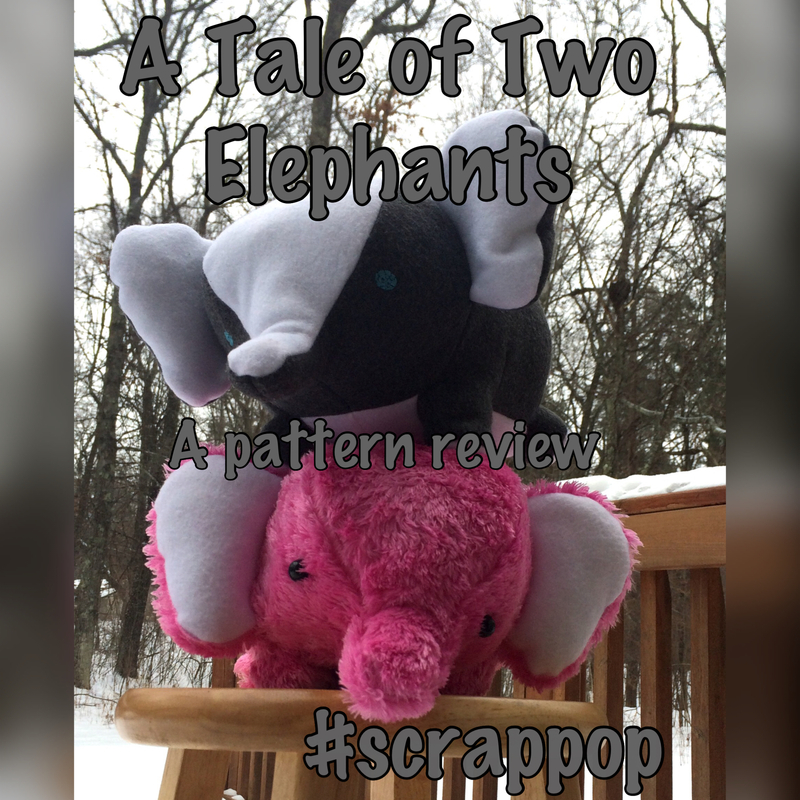 Here’s the link to the pattern if you are feeling sassy…she has tons of other stuffie patterns…but I won’t be trying them for awhile. Garnish with a lime and knock back as many as you need to pretend it’s Spring.